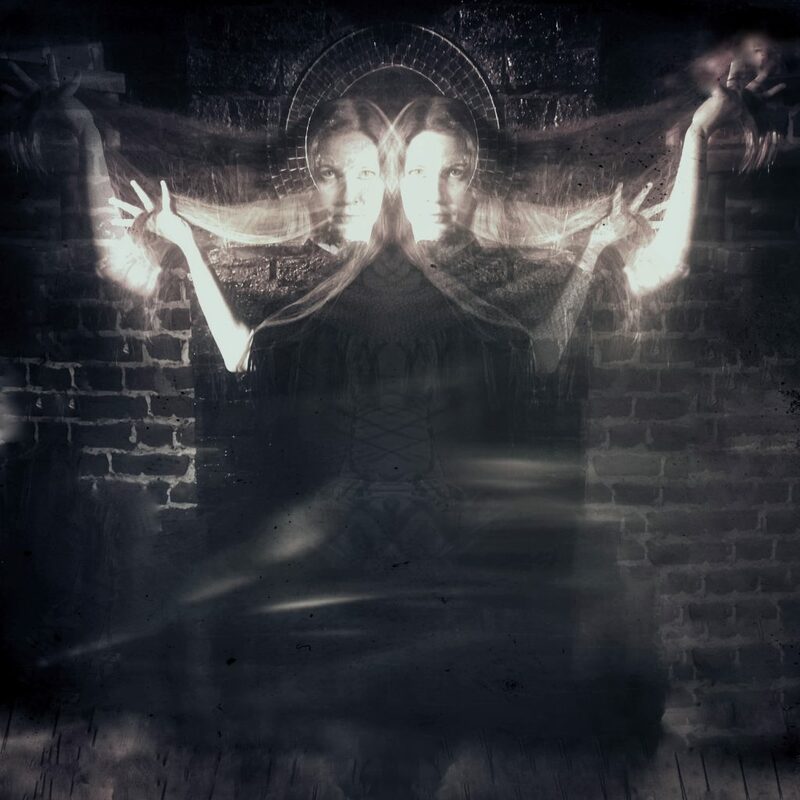 In the last couple of years Göthenburg-based Nachtlieder, the studio project conceptualized by multi-instrumentalist, part-time yogini and natural born philosopher Dagny Susanne, has established itself as one of the most potent and distinct new voices in the Swedish black metal pantheon. Her third album “Lynx” fully delivers on the promise that 2015’s loosely conceptual “The Female of the Species” only hinted at. While her 2013 debut was serviceable in the very least, it didn't leave much of an impression on this scribe. On “The Female of the Species” Nachtlieder truly transformed into a distinct entity with its own recognizable vision and voice. “Lynx” builds, but also expands and deepens, upon that foundation and sees Dagny elevating her songwriting to a higher creative plateau. “Lynx” has Susanne at her most bloodcurdingly predatory and perhaps now more than any time before is Nachtlieder red of tooth and claw. On the whole we’ve always been fairly ambivalent at best and completely indifferent at worst to Swedish black metal as a genre. There are records that we unequivocally love. “Summon the Beast” from the Hypocrisy side-project The Abyss, “The Secrets Of the Black Arts” from Dark Funeral, the first few Marduk albums, “The Somberlain” and “Storm Of the Light’s Bane” by Dissection (who we’ve always considered more of an epic heavy/thrash metal band than an outright black metal one) and selected works from Setherial, the the grandmasters of imitation and derivation, such as “Nord”, “Hell Eternal” or “Endtime Divine” and “Vittra” from Naglfar. 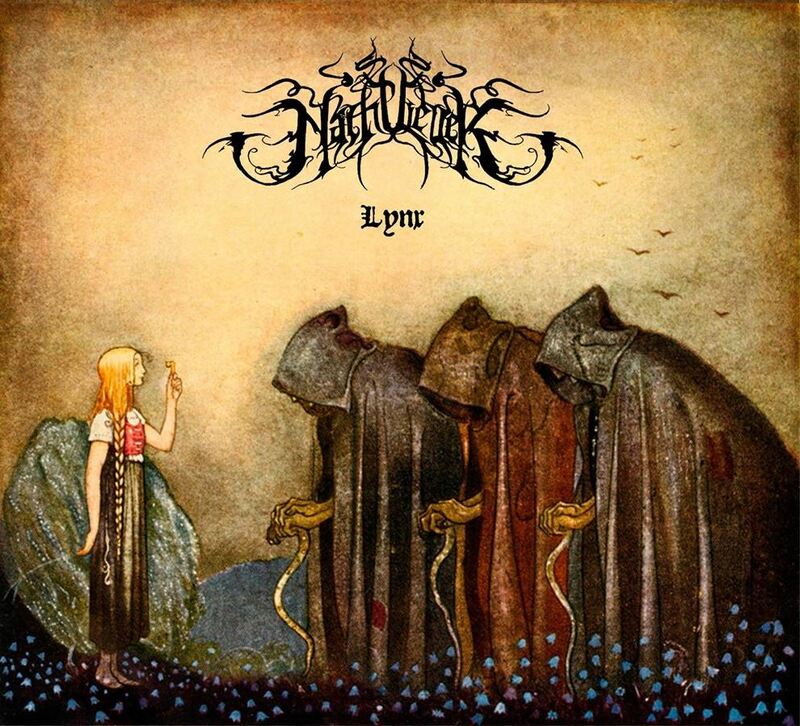 The post-David Parland releases from Dark Funeral, the shortlived more death metal tinged The Legion, and the numerous more smaller hordes that persist in the underground have not helped in swaying us to stay current with what’s happening in the scene. Over the course of a decade and now three albums deep into her career Dagny Susanne has proven that she’s persistently deadlier than the male. Nachtlieder is the kind of project to breath new life into a stagnant and regressive genre without the need of a gimmick or being overly innovative. The lynx has largely been associated with awareness, ability, balance, and change. It is a symbol of knowledge, clairvoyance, and wisdom. Across cultures (Greek, Norse, North American and Asian, among others) and times the lynx has borne silent witness to the foils and follies of humankind and is widely considered an often nigh on invisible sage of secrets both corporeal and ethereal living in great solitude and isolation. In medicine the lynx symbolizes sharp senses. Much like the titular felines an air of mystery surrounds Susanne who has revealed herself as a woman of many interests. It greatly speaks to her sense of individuality and independence that she continues to explore themes and subjects relating to the female experience. Susanne is not a woman to be pigeonholed to a convenient genre tag and with each subsequent offering Nachtlieder continues to expand into grander, ever more ambitious concepts. While Nachtlieder’s 2013 debut didn’t leave much of an impression other than being an extremely capable exercise of the form her subsequent album(s) have shown her as an agile musician and composer. Nachtlieder wouldn’t be what it is without the loyal services of studio drummer Martrum and on “Lynx” he too delivers another stellar performance. The synergy between Dagny and Martrum is one of the project’s strongest features. Nachtlieder has never been about inhuman speed (leave that to Setherial and their ilk) and much of Susanne’s songwriting is reminiscent of Enslaved (circa “Hordanes Land”) and early Immortal records as “Diabolical Fullmoon Mysticism” and “Pure Holocaust”. 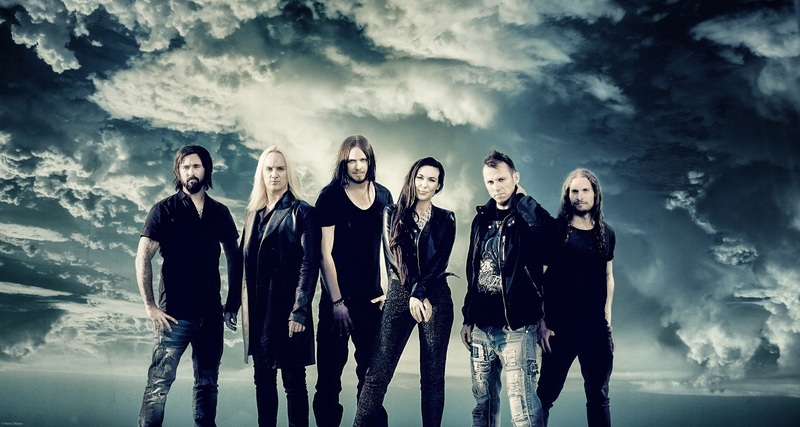 Instead of the more Nordic inclinations of her possible inspirations “Lynx” sounds clinically aggressive without that it ever regresses into gratuitous Norsecore blasts (something which Belgian horde Enthroned was often prone to early on) and atmospheric meanderings that serve no larger purpose. As much as the bass guitar is often dealt a cruel hand in most metal productions regardless of their size on “Lynx” it can be heard clearly. The string instruments contribute equally to the compositions and while the bass guitar never quite gets to weave any lead melodies its constantly throbbing pulse is essential for Nachtlieder to arrive at its distinct sound. By and large “Lynx” goes for a more primal and churning epic midpace than the more conventionally speed-oriented excursions from “The Female of the Species”. The primordially crawling, eerie melodies amplify Dagny’s rasping growl. Which doesn’t diminish in any way from tracks as ‘Law Of Decay’ that completely kill with their speed. The duo of ‘Eyes Ablaze’ and ‘Moksha’ conclude “Lynx” on a majestic dark note. Like the ferocious felines of the title Nachtlieder is both elegant and cunning in its assault. 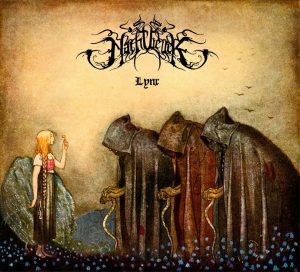 An illustration from John Bauer isn’t typically something you’d expect of a black metal band, especially not in the light of the assorted works of Gustav Doré and Jannicke Wiese-Hansen more or less being standards of the form. “Lynx” avoids the usual monochrome canvasses by using a piece from Bauer as its artwork. The illustration in question is "Guldnycklarna" (Gold Keys) from 1915 that figured into "Bland tomtar och troll" (Among gnomes and trolls), an annual collection of fairytales for children that was first saw publication in 1907. A variety of authors wrote for "Bland tomtar och troll" and Bauer contributed illustrations every year until his death with the exception of 1911. The collection steered domestic children’s literature in a new direction by incorporating themes from folk songs into the various fairytales. After Bauer other illustrators followed among them Gustaf Tenggren and from 1927 to 1980 Einar Norelius with Hans Arnold following in his footsteps. Notable authors contributing to the tome include Hjalmar Bergman, Margareta Ekström, Gösta Knutsson, Severin Schiöler and Edith Unnerstad. Eine kleine Nachtmusik might be Mozart's most enduring composition and Nachtlieder is the last thing you'd associate with fairytales and nursery rhymes there's something about Dagny's songwriting and her strong sense of individuality that easily places it among the classic bands of her genre. On “The Female of the Species” Susanne already showcased her uncanny ability to compose fully conceptualized pieces better than most of her peers in traditionally staffed constellations. In many ways Nachtlieder is the Scandinavian counterpart to Mediterreanean outfit Melencolia Estatica, the Italian project spearheaded by vocalist/multi-instrumentalist Serena Nardin. If there's something to be said about Nachtlieder as a band and Susanne as a person it's that she will go out of her way to avoid any cliché inherent to her craft. That truly is her greatest forté. Now that the "Lynx" is free to stalk its prey we can only wonder what Dagny will come up with next. It'd be interesting to see her take on the various female apparitions of Asian mythology (such as the ghosts of Chinese folklore or the Indian nagin, the snake spirits, to name two popular examples). If there's anything the metal scene at large needs it's visionaries. People like Susanne are vital. Suss isn't just kvlt, she's kvte too.